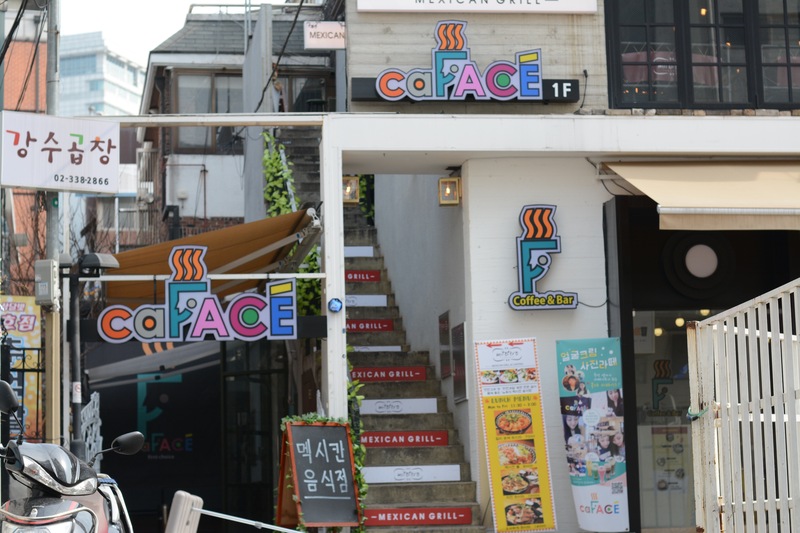 I’m sure you’ve heard of personalized t-shirts, mugs, and totes, but at caFACE in the Hongdae district of Seoul, you can personalize your drink! 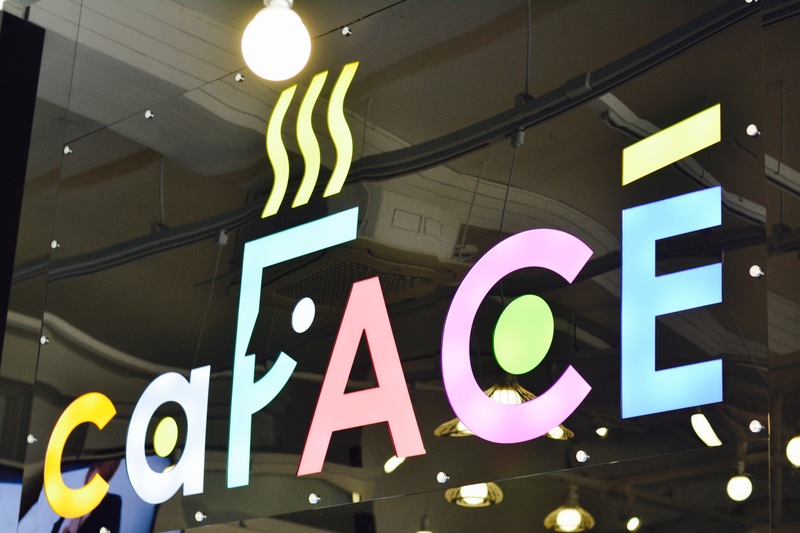 If you’ve been following my posts about the fun and unusual cafes that Seoul has to offer (Raccoon, Sheep, Dog, Cat, Hello Kitty, and Poop Cafe), then you’re going to love CaFACE where you can take a selfie and get it printed onto the foam of your favorite coffee drink! The inside of the cafe is nice and bright and they offer coffee, lattes, juices, smoothies and desserts. There is a decent amount of seating, and they have some large booths in the back that are good for large parties. 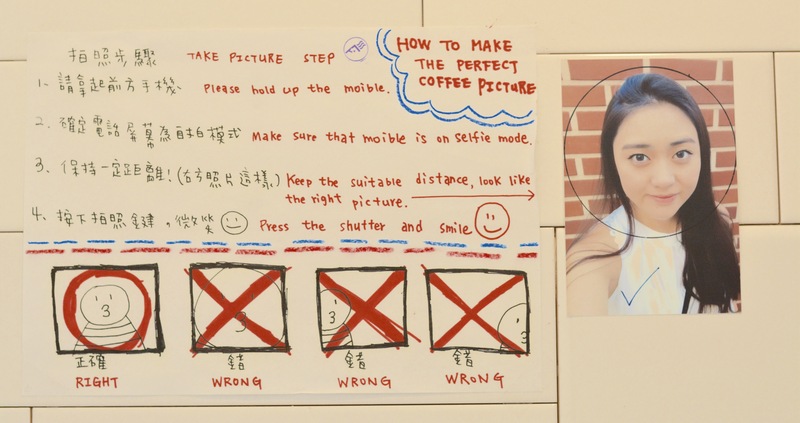 So here’s how you get your selfie beverage. 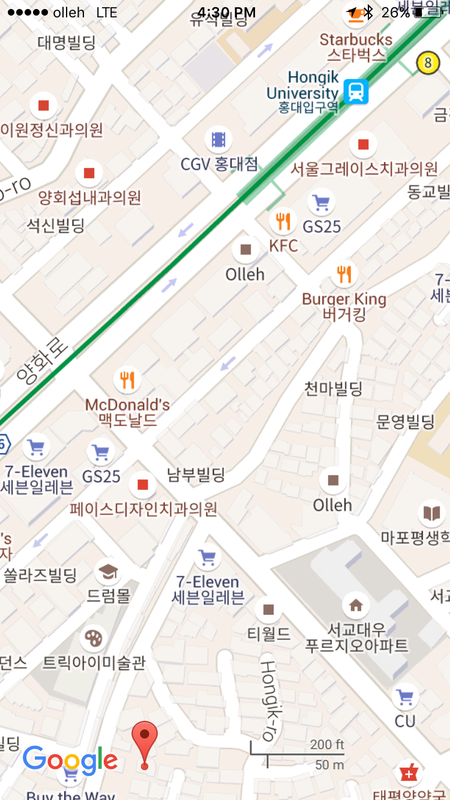 First order your coffee or latte (we got the Cafe Mocha (5,300 won) and the iced Hazelnut Latte (5,300 won)). 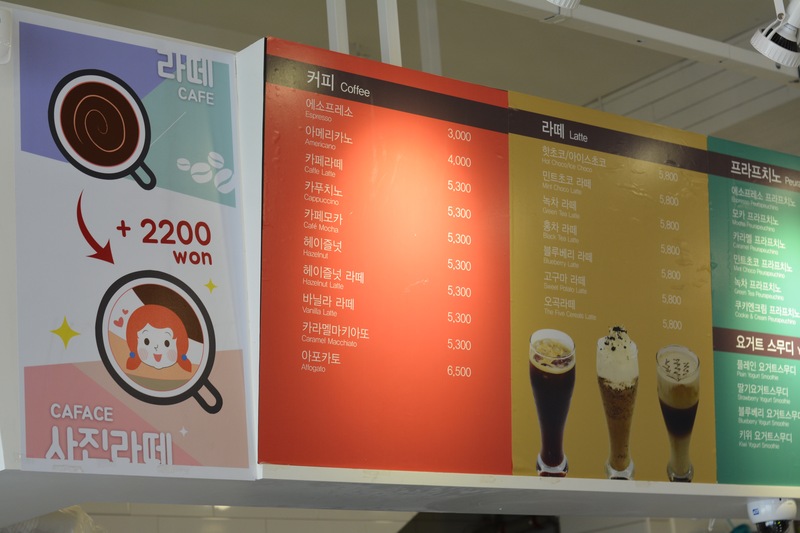 You pay an extra 2,200 won to add the selfie to your beverage. It’s definitely not the cheapest drink in the world, but it’s worth it for the entertainment value! Then you go into the “photo booth” and get ready to take your selfie. 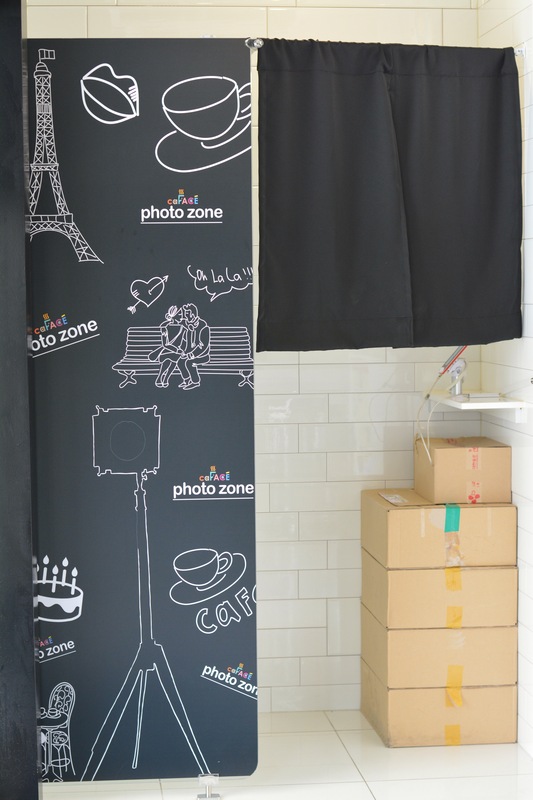 Inside the photo booth, they provide you instructions on how to get the perfect picture. If you don’t like your first photo, feel free to delete it and try again. Once you get that perfect shot, just take a seat and wait for them to prepare your drink. One of our fellow cafe goers decided to order one of their desserts! It was pretty delicious to be honest. 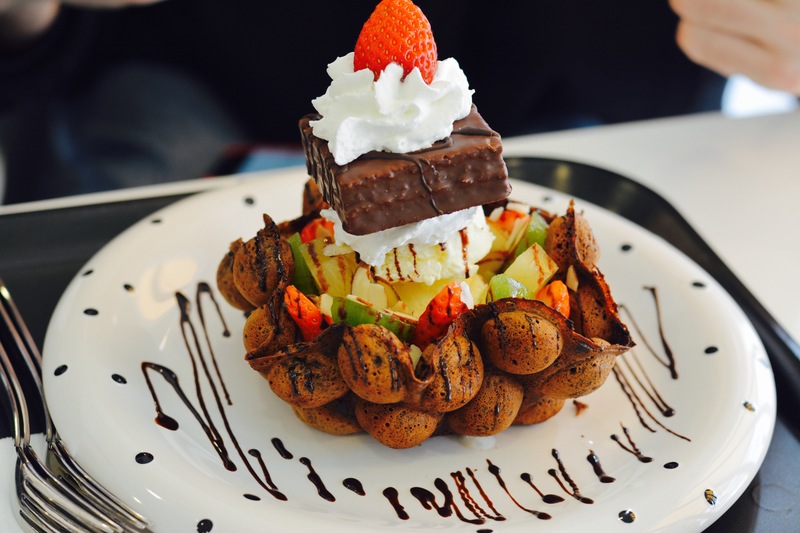 The base was a freshly made chocolate waffle, then topped with fruit, ice cream, whipped cream and a brownie. Mmmmmmm! And now for the pièce de résistance….MY DRINK!! 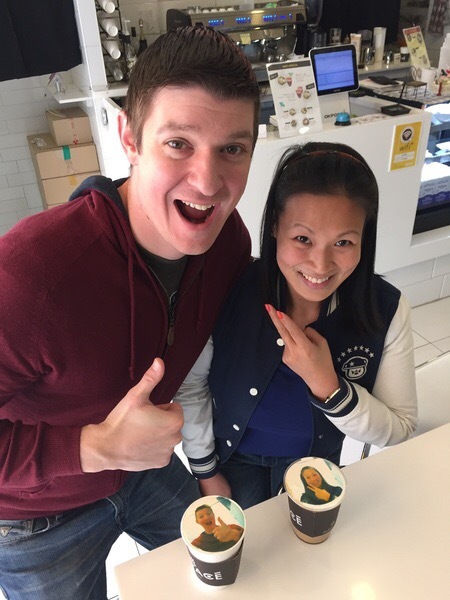 It is pretty incredible that they can print out my face onto the foam of my Hazelnut Latte. The drink was pretty tasty and I loved the fun factor of seeing everyone’s faces on their drink. Don’t forget to get a stamp card if you live in the area and think you’ll be back (buy 10 drinks and get 1 free). 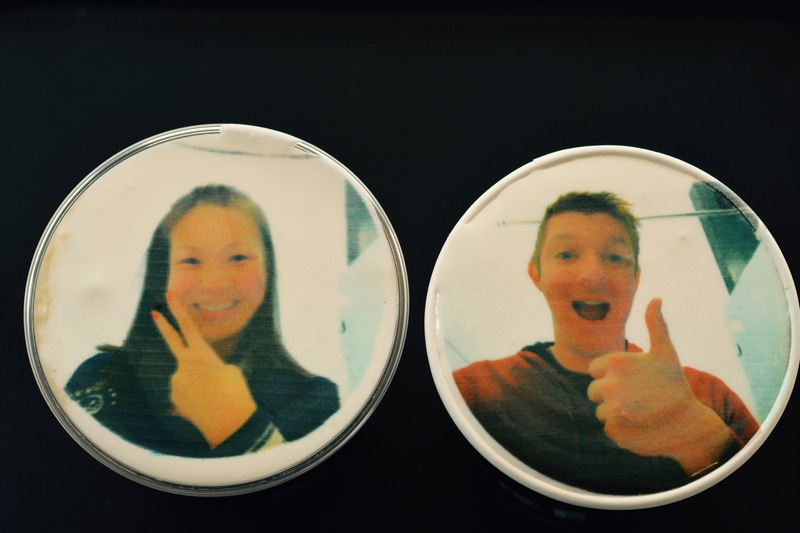 Also, if you check in on instagram or share a photo on Facebook, they will give you a “gift.” Basically, they will print a photo of your choice (the one you put on your drink, or one off of your phone) for free. This is definitely a fun spot to go with a few friends. You’ll all be waiting in anticipation for your drink and to see how your picture turned out. 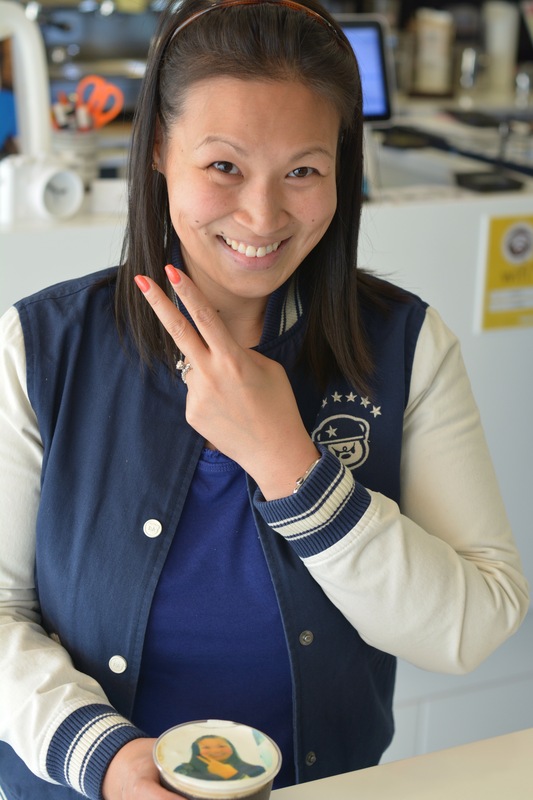 CaFACE will help you take selfie taking to the next level!